Disclosure: Although I received the Shark Rocket Vacuum to facilitate my review, all opinions are 100% mine. I have 4 kids, a dog and me and my husband shed like cats. So cleaning my floors can be a lot more torture than not. Especially those hard to reach areas like under the refrigerator, or corners. Although a broom and dustpan are fine and dandy the don’t exactly have the power of a vacuum. Thankfully when the lovely people over at Shark Told me they would send me a Shark Rocket Vacum cleaner I knew the God lord had answered my cleaning prayers. One of the things that amazed me the most about this vacuum is how light weight and easy to maneuver it was. 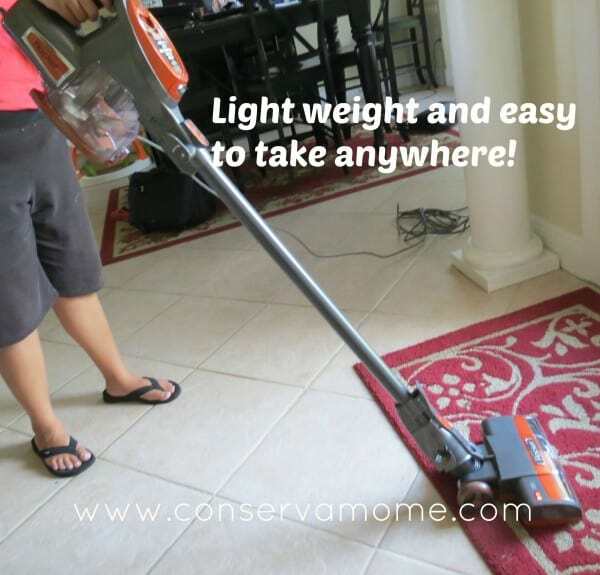 I don’t have the time or patience to be lugging around a big bulky vacuum that will only get in the way. This powerful beauty is ready to clean and go wherever you take it. This one tool includes a self propelling mechanism meaning it literally vacuums on its own..You just guide it. There’s a tool for anything that may come your way, you can also purchase other attachments for other messes that life may send your way. From furniture to dust Away attachments this vacuum will allow you to clean anywhere easily. Leaving your area spotless! 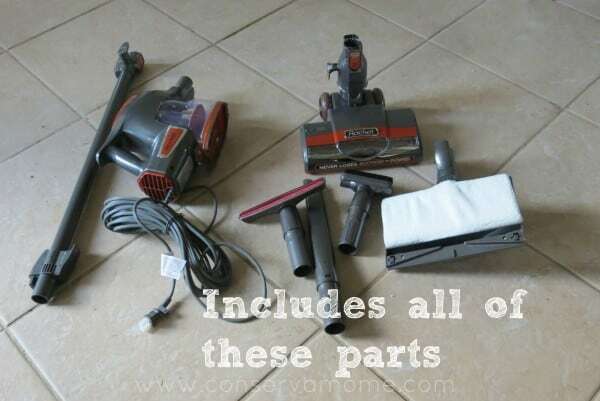 This vacuum has every tool you could think of or could need to keep a home clean. There are tools that come with it that are so amazing you will wonder where it was all your life. With the Shark you are able to pick the strength and setting allowing for carpet or bare floor & area rug. Growing up I always saw the Jetson’s cartoon on tv and the neat products they had. Using this vacuum I almost feel like I reached out and grabbed something from their line of appliances because of the shear cleaning power,size and ability. This is a state of art beauty that should become a staple in every home with kids & pets! Cleaning has never been so much fun and so easy to do , so much so I have my two oldest arguing over who’s going to help me vacuum. Does your vacuum do that? So if you’re in the market for a new vacuum head over to the Shark page and find out more. This vacuum also includes exceptional customer service and warranty. Which is very much appreciated! To find out more about this fantastic product and other Shark products head over to their page. Don’t forget to check them out Facebook, Pinterest andd Twitter as well! I love my shark steam mop! Hopefully I can get one of these for my upstairs! Looks very handy! Don’t know what I’d do without my Shark Steam Mop. May have to try one of these vacuums out. This would be a great vacuum cleaner for my house – with its hardwood and tile floors, and lots of pets! I like that it’s lightweight and easy to use. I love how the Shark is compact and light weight. This vacuum would be great to have around for quick clean ups when I don’t feel like pulling out my bulky vacuum. Thank you for your review! Shark vacuums are amazing! Great review! 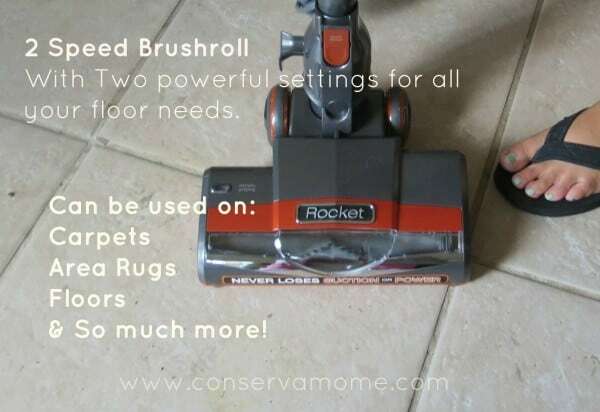 I SO need a new vacuum and this one looks great! I love the design and all of the attachments that come with it. I’ll definitely have to check this one out. This sounds like a very nice vacuum cleaner. Thank you for your review. it sure is compact! i would love to try it out, i have a big longhair cat! If it has a powerful suction it would be awesome. Great review! I would love to have a vacuum like this! I could really use one that can easily go from hardwood floors to carpet. Plus I love how it can get into tight places. This vacuum sounds amazing. I love that it is lightweight, but has so much power. I also appreciate that is is self-guiding and has so many different attachments.. Thanks for sharing!! This sounds like a great vacuum cleaner. oh what an awesome vacuum man i so need a new one i got a cheap one its time to update!!! This looks awesome! I am in the market for a new vacuum and it has to be small for our space, but also be powerful enough for 2 adults, 3 kids, 3 dogs, and a cat. Haha! This looks like it would fit the bill! This sounds like a great vacuum cleaner for my house, with its hardwood and tile floors, and roaming pets! pricey but would work great in our small space!!! I have never owned a Shark vacuum but I had heard good things. I love that they have come out with this versatile, light-weight model! 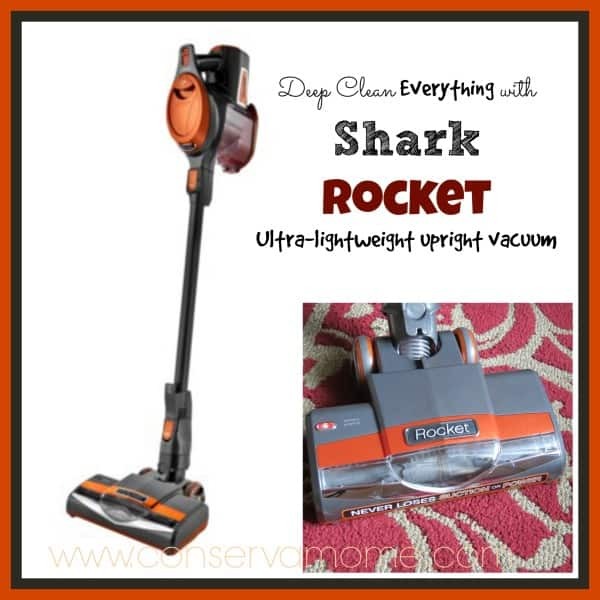 I really like the vacuum that I have even though it is bulky, but I have heard good things about Shark steam mops. I’m really considering getting one because 90% of my house is hardwood floors! Maybe when my vacuum gives up the ghost, I’ll keep this one is mind since it is so small and lightweight. Does it really work on the ceiling?!? That’d be amazing for getting rid of cobwebs! Compact and no cords!? Sold! Pretty awesome. My mom just bought one and she loves it. I love my Dyson though, maybe when it gives out. Would love to try one of these. It sure does have a lot of parts to it though. I need a good lightweight vac.!! This looks perfect. slick design. love all the features! I’ve always wanted a shark! Our dogs shed like crazy. This vacuum looks awesome! I would love this! It sounds great! This looks amazing! I need to get one of these! Looks perfect for my house! Ever since having my life completely changed by having our first child I have found blogs such as yours extremely helpful not too mention fun. And lo and behold, what do you know, I’m in the market for a new vacuum cleaner and you post this review. Thanks for the heads up, it’s trusted reviews like this that helps people make good decisions! I just bought a new vacuum and sadly it wasn’t this brand. I’ve looked at other similar products because I don’t want to carry a big vacuum upstairs. I really like the versatility of this! Any vacuum that is that small and actually works is a plus in my book! I think this cleaner would be great on my stairs! I would love a new vacuum that actually works! Great review, will definitely keep this in mind when we need a new vaccuum! Ohhh I need this!!! I love Shark! Might have to look into this for my hardwood floors! This would be great for our apartment! This looks great for my hard woods and upholstery. I admit I love my Dyson for my carpet but no one said I can only have 1 vacuum! I love our shark rotator! It’s been through normal day to day cleaning and countless remodel projects and is still like new! I was thinking about getting one! Thanks for the info! Wow, this is so versatile! I don’t know about all those pieces to put it together but we just moved into a new home and I would love that! We have a shark professional and live it! I would love to have something like this for my kitchen! Light weight is what I like! I have always heard that Shark has a very nice line of products but we have not purchased one yet. Maybe when ours breaks down we’ll look into getting this one.